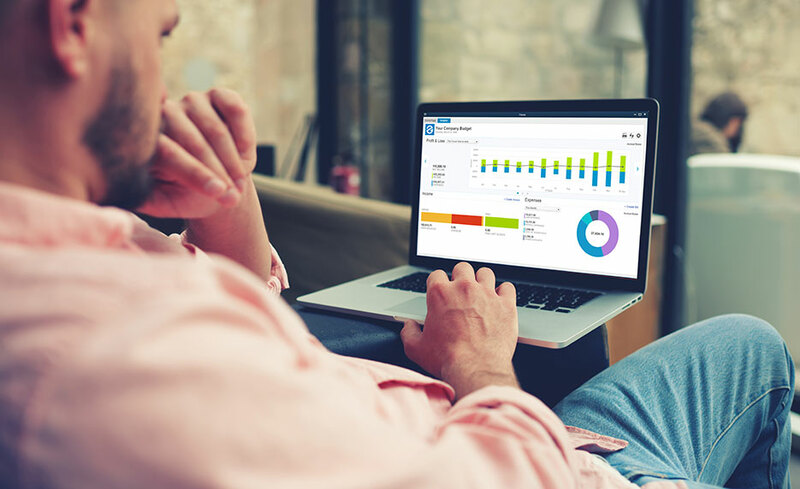 Prepare for a career in the high-demand field of bookkeeping and accounting, as you master QuickBooks 2015, the leading financial software tool for small businesses. Even with no bookkeeping experience, you can prepare do professional bookkeeping for a small business with this course. This online program teaches you to plan a budget, manage payroll systems, and manage accounting. It also makes you aware of the legal standards that apply to accounting methods, giving you the proper credentials you need to practice bookkeeping with confidence. The cost of the program includes the textbook Bookkeeping Made Simple. QuickBooks 2015 needs installed on your computer in order to take this program. The course does not provide the software. ed2go provides the required textbook, Bookkeeping Made Simple, but you need QuickBooks 2015 software installed on your computer prior to taking this program. The bookkeeping portion of this course can be taken on either an IBM-compatible computer (PC) or a Mac. The QuickBooks tutorial can be taken on an IBM-compatible computer (PC) or a Mac. If you use a Mac, you must purchase the Mac version of the software, although some of the screen shots within the tutorial may differ. This program is designed to prepare you for an entry-level position as a full-charge bookkeeper. You do not need any prior experience or training in this field. You need an Internet connection, e-mail capabilities, and familiarity with using the Internet. You'll also need QuickBooks 2015 installed on your computer in order to complete the QuickBooks portion of the program. The course does not provide the software. The course will not provide the QuickBooks 2015 software. You need to install this software prior to taking the course. Ed2go will provide all other materials and include them in the cost. In order to take our online programs, you must have access to a computer and the Internet. You can access the program contents from any Web-enabled computer. You don't have to use the same computer to log-in to the program every time. We recommend that you have a word-processing program (Microsoft Word is best) and the latest version of Internet Explorer. In addition, for this program, you'll need a version of QuickBooks 2015 in order to complete your QuickBooks training. No. Only a PC can be supported.